John Mellencamp hadn’t played in the area since he last visited the Darien Lake PAC back in 2005 with John Fogerty on a joint tour. When it was announced that he was coming to the Seneca Niagara Casino as part of Summer Rush 2014, it took me back to my youth and gave me that long lost feeling of being a kid on Christmas Day. To land Mellencamp was a big feather in the cap for the Casino especially considering he is only playing ten shows all summer and the fact he has not done much touring the past few years. When he and his band took to the stage the crowd came out of their seats to the sounds of opener “Human Wheels”. 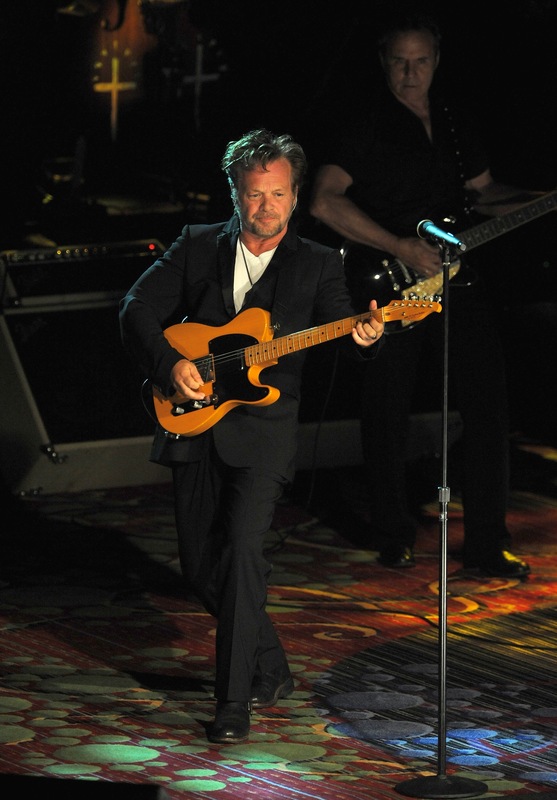 Mellencamp whipped out “I’m A Troubled Man” a new song that should be included on his upcoming release Plain Spoken. “Check It Out” followed and it appeared the show was starting to take off. Mellencamp then came to center-stage with only an acoustic guitar in hand and strummed out what to date is his lone number one song “Jack & Diane”. The song was performed quite awkwardly and differently than one may expect. While the crowd sang along it just appeared to be off. He continued with what turned out to be a small acoustic segment as he also played “Longest Days” and “Small Town”, all of these songs would have benefitted by being played with the full band. On the positive side “Paper In Fire” went over well as did the patriotic “Pink Houses” which was quite appropriate leading into the holiday weekend. Perhaps the best song of the evening “Authority Song” was very hard driven as Mellencamp stated that he still felt the same way tonight as when he first wrote the song. As his set came to a close it was a surprise that he played a mere fourteen songs, as it seemed that he was just getting warmed up as a great rendition of “Cherry Bomb” ended the all too brief affair. Some fans were dismayed at the length of the show (only 75 minutes) and crying foul at the price they paid for tickets (they started at $95) while others were just glad to be able to finally see a man who is still relevant even in today’s ever changing world of what we call the music industry. Mellencamp who some may recall played a high profile gig in nearby Grand Island in 1996 when VH1 held their Backyard BBQ contest. That show was shown on the VH1 network all across the country. For an artist who doesn’t come around too often it would have been good to see more positives and a few less negatives. Considering the build up of the highly anticipated show it was a little bit of a let down.